Dear Congress: Don’t seat Donald Trump’s nominee until Merrick Garland is on the bench. Trump’s nominee shouldn’t get a hearing until Merrick Garland is seated. Merrick Garland meets with Senate Minority Leader Harry Reid on Capitol Hill on Sept. 14 in Washington. As President Donald Trump’s nominee for the vacant Supreme Court seat receives public scrutiny in the coming days, it’s incumbent for us all to remember one thing: This seat was not Trump’s to fill. In fact, the U.S. Senate should refuse to confirm anyone President Trump nominates to the Supreme Court—until Trump renominates and the Senate confirms Judge Merrick Garland. On Monday, Sen. Jeff Merkley of Oregon said he would be leading a Senate filibuster of any Trump nominee until Garland is seated. This is the only correct approach. To recap: The Senate failed to fulfill its constitutional responsibility with its unprecedented refusal even to consider President Obama’s nomination of Garland. Obama made the nomination with about a year left in his presidency, but from day one the Republican Senate leadership insisted that it would permanently block the nomination. No one ever questioned Garland’s qualifications—an impossibility for this brilliant, dedicated public servant. The obstruction constituted an insulting challenge to Obama’s legitimacy, accompanied by calls for the people to decide via the election of the next president. The Republicans effectively have attempted to steal this Supreme Court seat. If this effort succeeds—as has appeared likely ever since Trump’s surprise election—it will create a fundamental imbalance in the third branch of our federal government, the independence and integrity of which is vital to our constitutional system. An essential role of the federal judiciary is to check unlawful actions of the political branches—Congress and the president. When political actors conspire to distort the makeup of the court, as they did in denying President Obama his basic constitutional role, we the people must demand that the balance be restored. 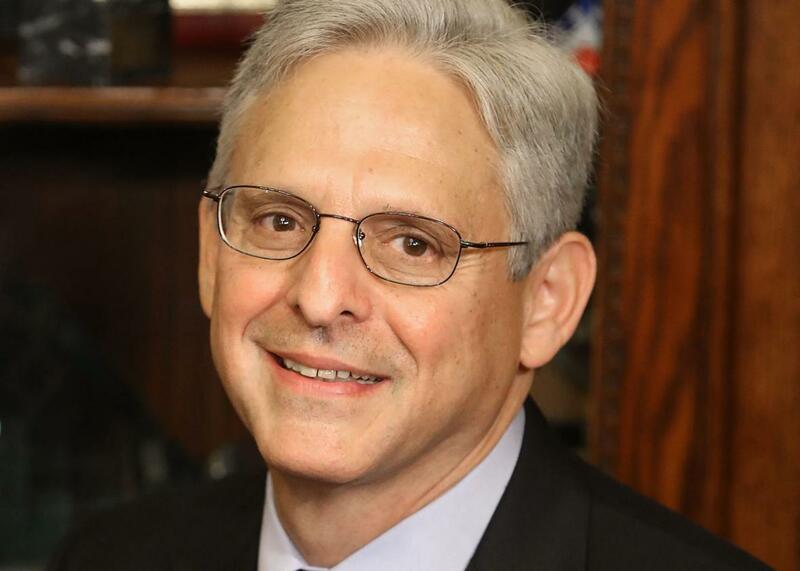 The confirmation of Garland to the court would provide perfect justice. This may not be quite so far-fetched as it might seem initially. President Trump is likely to have the opportunity to make more than one Supreme Court appointment. As Trump is not nominating Garland this time, the Senate should keep the current vacancy open until a second seat becomes vacant. It should then confirm Garland, followed by consideration of the Trump choice. The only appropriate alternative—given the constitutional stakes—would be to maintain an eight-person or fewer court for four years. I don’t suggest this lightly: I experienced firsthand the personal toll of the Senate refusing to vote on my nomination to head the Department of Justice’s Office of Legal Counsel in 2009 and 2010. One Republican senator sought to reassure me that it wasn’t personal; it was politics, how the game was played: “You do it to us; we do it to you.” My husband, two sons, and I spent more than a year in confirmation limbo, in a rented house far from home, awaiting a Senate vote repeatedly predicted for next week, next month—but that never came. Of course, the politicization of presidential appointments is wrong. Each of a president’s nominations ordinarily should be assessed on its individual merits. Notwithstanding Trump’s awful first 10 days in office, the Senate should continue to offer the president’s executive branch nominees this same fair standard of treatment. In particular, Trump’s nominee to head the Office of Legal Counsel—the office to which President Obama nominated me and the same office I headed for part of the Clinton administration—should be confirmed expeditiously, as long as that nominee is personally qualified. This president is in desperate need of good legal advice. But this Supreme Court vacancy is different. It exists only as the result of the wrongful denial of the legitimacy of Obama’s presidency. It is a breakdown of the very functioning of our democracy and a slap in the face to constitutional norms. It is an attempted theft that, if permitted, would bring longstanding consequences. Its end was to prevent the court from having a majority of justices appointed by Democratic presidents for the first time since 1969. That’s almost half a century with a court majority appointed by Republican presidents, a striking imbalance that does not reflect the presidential vote: Since 1961, Democratic and Republican presidents have served equal numbers of years. The flimsy and transparently specious argument Republicans offered was: “Let the people decide.” Of course, the people decided when they elected Obama to a second four-year term. And about 3 million more Americans decided they preferred Obama have a Democratic successor rather than Trump make this appointment. Those who value an independent judiciary, and a Senate committed to democracy, can fix this constitutional problem by insisting on Merrick Garland’s appointment to the seat he already should be occupying. The pick after that can belong to President Trump.